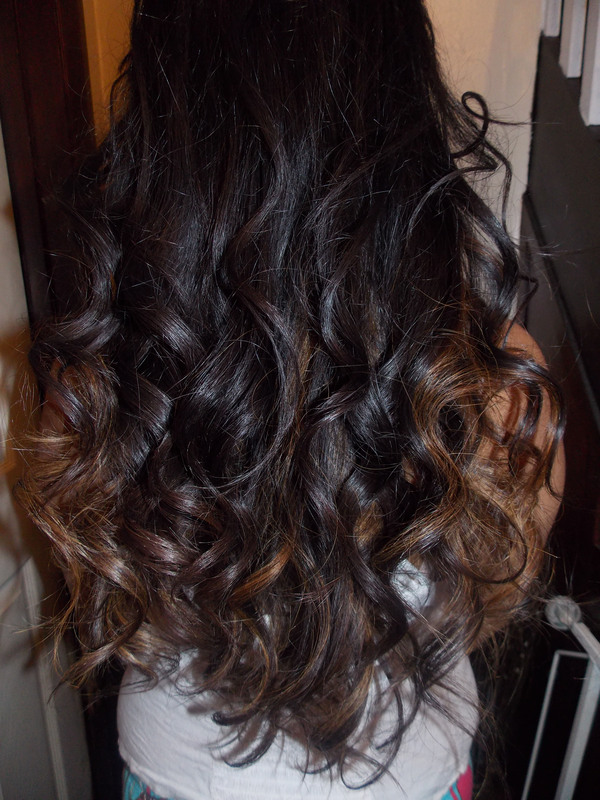 Wavy/Curly Hair. My usual hair style! P.S I know I need my hair cutting and I am soon so no need to point it out haha! 😉 And….. I only have the behind view of it :). « Makeup Of The Day: Another Spring Look! Everyday!? I am lucky if mine looks like that once a year. LOL. I simply want to tell you that I’m newbie to blogging and site-building and seriously liked your web site. Likely I’m want to bookmark your blog post . You definitely have terrific well written articles. Many thanks for sharing your web site. I simply want to tell you that I am just newbie to blogging and seriously savored your blog site. Probably I’m want to bookmark your website . You actually have beneficial articles. Thank you for revealing your blog. If you could message me with a few tips about how you made this blog site look this awesome, Id be appreciative. I have seen plenty of useful factors on your web site about pcs. However, I have got the viewpoint that notebooks are still more or less not powerful more than enough to be a wise decision if you normally do jobs that require lots of power, for instance video editing and enhancing. But for internet surfing, word processing, and majority of other popular computer work they are just fine, provided you don’t mind the small screen size. Many thanks sharing your notions. I do trust all the ideas you’ve offered to your post. They’re very convincing and will definitely work. Still, the posts are too short for newbies. May just you please prolong them a bit from subsequent time? Thanks for the post. Please email me with any pointers about how you made your blog site look like this , Id be thankful. Great – I should certainly pronounce, impressed with your site. I had no trouble navigating through all tabs and related info ended up being truly easy to do to access. I recently found what I hoped for before you know it in the least. Reasonably unusual. Is likely to appreciate it for those who add forums or anything, site theme . a tones way for your customer to communicate. Excellent task. Thanks for the recommendations on credit repair on this amazing site. The things i would tell people is always to give up the particular mentality that they can buy today and pay out later. Being a society we tend to do that for many factors. This includes vacations, furniture, in addition to items we would like. However, you’ll want to separate your wants from all the needs. As long as you’re working to raise your credit ranking score you really have to make some sacrifices. For example you are able to shop online to economize or you can go to second hand outlets instead of high-priced department stores intended for clothing. Magnificent website. Lots of useful info here. I’m sending it to several friends ans also sharing in delicious. And obviously, thanks for your sweat! hello there and thank you for your info – I’ve definitely picked up anything new from right here. I did however expertise several technical points using this website, since I experienced to reload the website many times previous to I could get it to load properly. I had been wondering if your web hosting is OK? Not that I’m complaining, but sluggish loading instances times will sometimes affect your placement in google and could damage your high-quality score if advertising and marketing with Adwords. Well I am adding this RSS to my email and could look out for a lot more of your respective exciting content. Make sure you update this again soon.. I am usually to blogging and i actually respect your content. The article has really peaks my interest. I’m going to bookmark your site and keep checking for brand new information. A fascinating discussion is definitely worth comment. I think that you need to publish more about this topic, it might not be a taboo matter but generally people don’t speak about such issues. To the next! Kind regards!! Greetings from Carolina! I’m bored at work so I decided to browse your site on my iphone during lunch break. I really like the info you provide here and can’t wait to take a look when I get home. I’m shocked at how quick your blog loaded on my cell phone .. I’m not even using WIFI, just 3G .. Anyways, very good site! Write much more, thats all I have to say. Literally, it seems as though you relied around the video to produce your stage. You obviously know very well what youre speaking about, why discard your cleverness on simply posting videos in your blog when you’re likely to be giving us something enlightening you just read? My coder is trying to convince me to move to .net from PHP. I have always disliked the idea because of the expenses. But he’s tryiong none the less. I’ve been using WordPress on various websites for about a year and am anxious about switching to another platform. I have heard good things about blogengine.net. Is there a way I can transfer all my wordpress posts into it? Any help would be really appreciated! Oh my goodness! Impressive article dude! Many thanks, However I am experiencing problems with your RSS. I don’t know why I am unable to join it. Is there anybody else having the same RSS problems? Anyone who knows the solution will you kindly respond? Thanks!! Hi there! I could have sworn I’ve been to your blog before but after looking at many of the posts I realized it’s new to me. Anyways, I’m certainly pleased I discovered it and I’ll be bookmarking it and checking back frequently! Having read this I believed it was rather informative. I appreciate you taking the time and energy to put this short article together. I once again find myself personally spending way too much time both reading and commenting. But so what, it was still worthwhile! Fantastic post. I had been taking a look at constantly this blog website that i’m influenced! Extremely valuable information specifically the remaining period I sustain such information and facts a lot. I had been looking for this type of information and facts to get a prolonged moment. Thank you and greatest of good fortune.